Life has a way of lobbing curve balls at you when you don’t expect it. We’ve been dealing with a big one over the last few months and it’s sometimes hard not to get bitter about some people’s greed, their ingratitude and their meanness (I’m not at liberty to share details). As always, I find it important to stay focused on all the good and abundance we do enjoy. Looking at the big picture, that’s not so difficult to do. It’s the daily nitty-gritty that is hard sometimes. Trying not to complain, grumble, assign blame are harder to do on a daily basis. Being mindful of the value of gratitude, and pausing through the day to say thanks is the best way for me to find meaning even in the most trying circumstances. I’m also very clear that being appreciative of what I have, must not stop me from realizing when I’m being treated badly. Being grateful doesn’t equal being a doormat. I continue to experience and acknowledge my negative feelings and be assertive, but see it all through the lens of gratitude. I choose gratitude today and every day. Click here to download a printable version of this reminder. 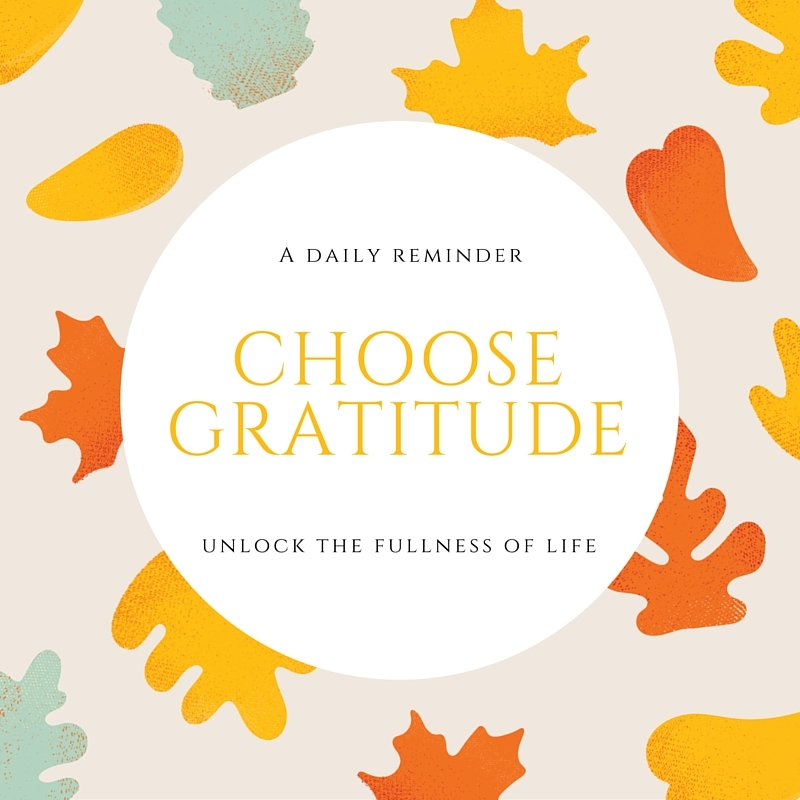 Everyday Gratitude is a newish feature on Everyday Gyaan – a post on gratitude that will appear here every 2nd Saturday of the month. You’re welcome to share your list of gratitudes in the comments here. If you share your gratitude posts in the comments and on Twitter with the hashtag #everydaygratitude, I promise to share your posts on social media. Gratitude is so taken for granted. I am thankful for so many things in my life. This will be a wonderful feature for your blog, Corinne! Very nice comment about not being a doormat. Loved your post! I’m choosing Gratitude! Great message 🙂 I also the reminder that being appreciative of what I have, must not stop me from realizing when I’m being treated badly. This is lovely. In the spirit of Valentine’s Day, I will say that I love life and the privilege of sharing it with amazing people– the blogging community included. Thanks for sharing a little joy and gratitude. Choose gratitude…it is hard when you go through a difficult experience. All the more reason why you should, and I should – and thank you for emphasizing gratitude is not equivalent to “just swallowing the bad” or “being a doormat”. Rather, it is a process of letting go of the power the bad stuff tries to hold over you. Without that letting go, you become bitter and you rot from the inside. I wish you strength with whatever you are dealing with, Corinne. This is good! I appreciate you mentioning how gratitude doesn’t equal a doormat. We are in control of our attitudes and choosing to be positive and grateful can do wonders for your daily living. Makes it hard sometimes to see the negative when frequently choose gratitude! Glad you appreciated that, Gloryanna. Often we think that we must swallow all manner of bad behaviour in the name of being positive! Thanks, Vasantha. It sure works for me!